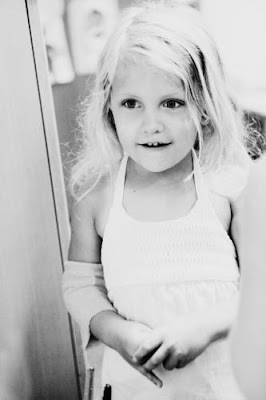 For some time now, I've been following the beautiful online CaringBridge journal written by Holly McRae about her daughter Kate's battle with cancer. I cannot even begin to imagine how much they're all going through my heart aches for Holly & her family and I pray Kate will be okay. In the 'about" section of the journal, Holly writes, "Monday June 29th, 2009 was supposed to be a day filled with summer fun. The kids and I were going to the water park to celebrate summer. However, I noticed that a slight tremor in her right hand that had developed over the past few days had notably worsened. We decided to take her to her Pediatrician, just for safe measure. A CT of Kate's head was ordered. We proceeded to Phoenix Childrens Hospital for a stat CT of her head. At 5:30 I, Holly, Kate's mom, was taken into a room alone and told Kate had a massive tumor on the left temporal lobe of her brain. The world seemed to stopped for us that day. I called her dad and through sobs told him to come to the hospital quickly. Our long journey had begun. Kate was directly admitted to the PICU. One minute thoughts of the water park the next our child is critically ill in the intensive care unit awaiting emergent brain surgery within a matter of days. We would have never chosen to be a part of this journey with childhood cancer, but it was chosen for us, and our sweet Kate." Holly & her family are "adopting" at least 10 families this year (more if the response warrants) who have a child fighting cancer and are facing financial difficulties. If you'd like to help out you can go here to find out more info. The address to mail things to is on November 29th's journal entry. Link is here. Oh, my. What a beautiful little girl. The bit you posted gives me chills. No child or family should have to go through that. Prayers for little Miss Kate and thank you for posting that. This is such a sad story. Such a beautiful little girl. I will keep her in my prayers. Thank you for saharing, Lauren. What a touching post Lauren, thank you for sharing. I love that blogs are creative and fun, but can serve such a great cause as well. Good for you in passing along such an important and meaningful story, the McRae family will be in my prayers. My thoughts and prayers are with little Kate McRae and her family. Having gone through this in our family my heart aches for them. Thank you, Lauren for posting this. It is very touching. What a little doll Kate is. My heart breaks whenever I hear a family's struggle like this. Precious Kate is in my prayers. What an amazing family to reach out to others in this way. Thanks for posting this lovely reminder of the kindness & generosity of the human spirit. I have chills from reading this. So often, I take for granted the fact that my daughter is healthy and this is a real eye opener to be so thankful for that. My prayers are with this family and all others going through the same. Each year for Christmas I give goats and lambs and wells instead of gifts for my sweet nieces and nephew who have so much and I love that their hearts are so full that they welcome those gifts to others with excitement and joy. This year I will donate to Kate's Christmas Drive. Thank you for touching my heart today. We used to buy a live Christmas tree every year. 5 years ago I decided the money would be better spent by donating it to St Judes. I feels so bad when I hear of sick kids. And I can't begin to imagine how hard it is on the families. This year I'll donate the money to Kate's drive. Thank you for making us aware of this sweet little girl. How devastating. I lost my brother to cancer in October and have seen first hand how the death of a child affects a parent. While it's heartbreaking for the entire family I can't even imagine what my mom is going through. I pray that little Kate's family will be celebrating her good health at this time next year. This post made me sob! I just cannot imagine what this family is going through... having three kids of my own.... just breaks your heart. Lauren- What a beautiful child and a wonderful family. May they find grace and courage on their journey. Hi Lauren: I've been catching up on your posts. Phoebe Howard had an interesting post on the cost of decorating. Check out Mrs. Howard. She prices by the square foot, and comes up to $100.00 square foot for first class. I don't imagine that she shops Craig's list, but I've seen some very reasonably priced things in her store. There really is no standard code for interior design and the w-i-d-e range of normal is confusing to people. Thanks also for the reminder to pray for others during the holidays.